• Extremely compact tool size with an overall length of 225mm (8-7/8"). • High power and productivity achieved with new DC motor (FD31-30). • Enhanced dust and drip-proof performance for use in outdoor applications or harsh environments. 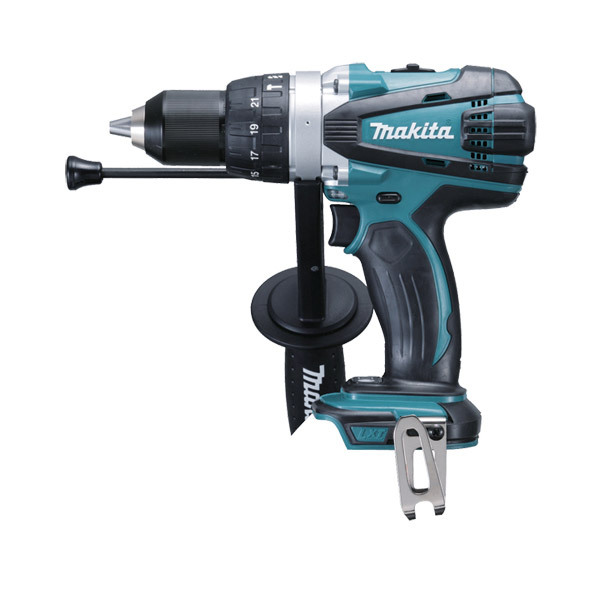 • Single sleeve keyless chuck allows for easy bit installation/removal by one hand. • Twin LED Job light with pre-glow and afterglow functions. 3 lights on: more than 50% of full battery capacity. 2 lights on: 20% to 50% of full battery capacity. 1 light on: less than 20% of full battery capacity.